When literary celebrity Gerald Candless suddenly dies, the beautiful façade he has carefully created begins to crumble. Behind the vision of the happy family on the English seashore lie Candless’ inexplicable cruelty toward his wife, his manic devotion to his daughters, and the mysterious sources of his fiction. To assuage her grief, his loving daughter Sarah begins a memoir project. But it soon becomes an obsessive search for identity. As Sarah digs into her father’s secret past, the startling logic of his puzzling behavior is revealed. There are only two things in life that interest Stanley: solving crossword puzzles, and getting his hands on his mother-in-law’s money. For 20 years, the puzzles have been his only pleasure, the money his only dream. It has never occurred to Stanley that his mother-in-law would try to outsmart him and the money would never be his. Until now. It is only now that Stanley, so clever at misleading double meanings and devious clues, decides to construct a puzzle of his own - and so give death a helping hand. As soon as Kerstin Kvist arrives at remote, ivy-covered Lydstep Old Hall in Essex, she feels like a character in a gothic novel. A young nurse fresh out of school, Kerstin has been hired for a position with the Cosway family, residents of the Hall for generations. She is soon introduced to her "charge", John Cosway, a 39-year-old man whose strange behavior is vaguely explained by his mother and sisters as part of the madness that runs in the family. Having published 45 books, Ruth Rendell is an internationally popular mystery writer. She has won four Gold Dagger and three Edgar awards. She has been presented with the Commander of the British Empire honor, and named Grand Master by the Mystery Writers of America. In A Sight For Sore Eyes, Ruth Rendell’s exceptional literary talent shines from each word. Teddy Brex is a handsome young man. Raised by parents who never loved him, he has grown to put his trust in objects. Unlike the other residents of Middleton Hall, Stella is elegant, smart and in control. Only Jenny, her care assistant, knows that she harbours a painful secret, and only she can prevent Stella from carrying it to the grave. As the women talk, Jenny pieces together the answers to many questions that arise: Why has she kept possession of a house that her family don’t know about? What happened there that holds the key to a distant tragedy? From the best-selling author of Atonement, Nutshell is a classic story of murder and deceit, told by a narrator with a perspective and voice unlike any in recent literature. A bravura performance, it is the finest recent work from a true master. To be bound in a nutshell, see the world in two inches of ivory, in a grain of sand. Why not, when all of literature, all of art, of human endeavour is just a speck in the universe of possible things? The Long Version, and the Short. Tim Cornish thought he'd gotten away with murder. For months after he'd killed his lover off the Alaskan coast, there hadn't been a word. But then the letters started to arrive. It seems that someone knows what Tim has done.... This compelling thriller delivers such a dark picture of romantic love that murder seems its natural mate. Frightening, suspenseful, and deeply unsettling, No Night Is Too Long is a modern crime masterpiece and will be enjoyed by readers of P. D. James and Ian Rankin. 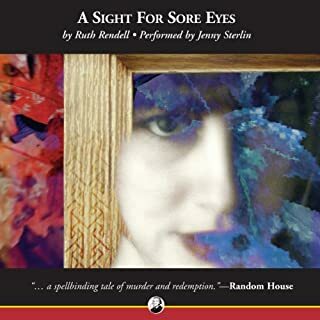 With deceptive economy in these nine short stories, Ruth Rendell indicates hidden depths in ordinary events and creates a sense of profound unease. The stories are: 'A Pair of Yellow Lilies', 'Paperwork', 'Mother’s Hel'p, 'Long Live the Queen', 'Dying Happy', 'The Copper Peacock', 'Weeds', 'The Fish-Sitter', and 'An Unwanted Woman'. Although Ismay finds herself feeling intensely protective of her little sister and of the secret they share, their lives move placidly, even happily, forward. It seems as if the mysterious death of their stepfather is behind them. But when Heather becomes seriously involved with a man for the first time, Ismay's long-repressed memories can no longer be ignored. With painful inevitability, the surprising truth will emerge, whether Ismay wants it to or not. When Elizabeth Vetch spots Bell for the first time in 17 years, she chases her down in order to learn why her old friend committed a terrible murder all those years ago. Bell has been in prison ever since the mysterious events that took place at the House of Stairs, a London mansion full of over-privileged, overstuffed, and somewhat sinister boarders, landed her there. Now it’s up to Lizzie to put together the pieces of her friend’s - and her own - fateful past. Would rather have read it. 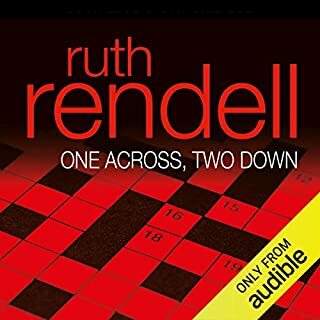 Ruth Rendell has held her place atop the world of mystery writers for decades, writing dozens of books that have won numerous awards, captivated countless fans, and collected widespread critical acclaim. Writing as Barbara Vine, she is the Edgar Award-winning author of such books as Chimney Sweeper’s Boy and King Solomon’s Carpet. Young Clodagh Brown loves to climb, especially the giant electrical pylons that form a neat row outside her parents’ home. When this obsession breeds tragedy, her shamed family sends her to London for college. As a respite from insufferable classes, she begins climbing atop the local houses with her unique band of friends. But it is a practice that lands the group in a kidnapping scandal - and leads to a terrifying climax on the rooftops. Grasshopper is a meticulously crafted novel - a sharp and textured thriller infused with layers of psychological suspense. Narrator Jenny Sterlin steps into Clodagh’s unique world and takes readers on a rousing adventure through the Victorian neighborhoods of London. If you could sum up Grasshopper in three words, what would they be? Clodagh Brown is my favorite character because she is a well-developed, likable, and complex character. The best scenes are those that take place on the rooftops. 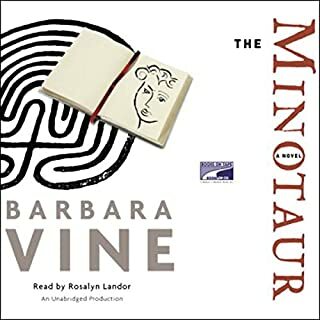 This audiobook made me laugh and cry. 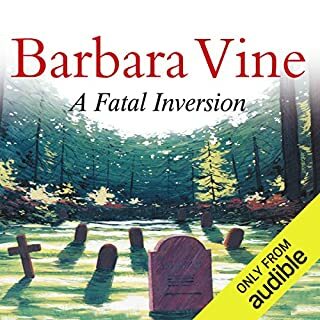 Barbara Vine does it again, but this time, the character development is incomparable. This a well-written and well-narrated story. Grasshopper is a must listen. 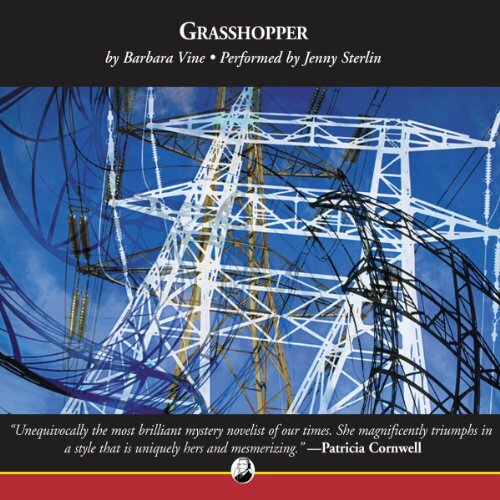 Jenny Sterlin is one of my favorite readers, but even her performance could not carry Grasshopper. The novel has too many unpleasant characters in tedious and repetitive situations, while the more sympathetic main character is just not compelling. I stopped with 6 hours to go. 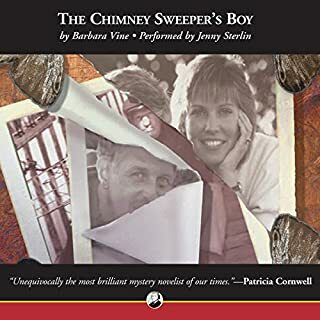 Pity, I really enjoyed The Chimney Sweeper's Boy by Barbara Vine. There is much, much too much nonessential text. You just want her to get on with it, please. 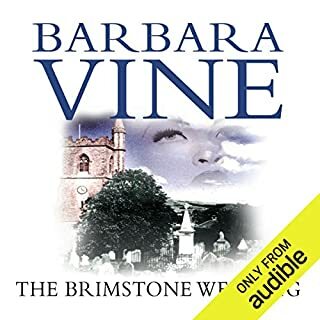 Would you be willing to try another book from Barbara Vine? Why or why not? I was enthralled by The Chimney Sweepers Boy, but that had an outstanding reader. Jenny Sterlin has a very nice voice, but the only way I can describe her narration is "mournful." The other problem is the sound editing. There are unjustified pauses between each sentence that just make the whole experience endless. What would have made Grasshopper better? I like some of Vine's books a lot but this one is too long for the story. She repeats herself continuously; on and on and on with very little development in the plot. This is a pretty solid novel. But it didn't quite do it for me. Maybe a little too slow moving? The characters and story a little too far fetched? I'm not sure. I didn't not enjoy it but it didn't captivate me the way really good books do. In other words, I could stop listening without feeling that pull to keep reading.